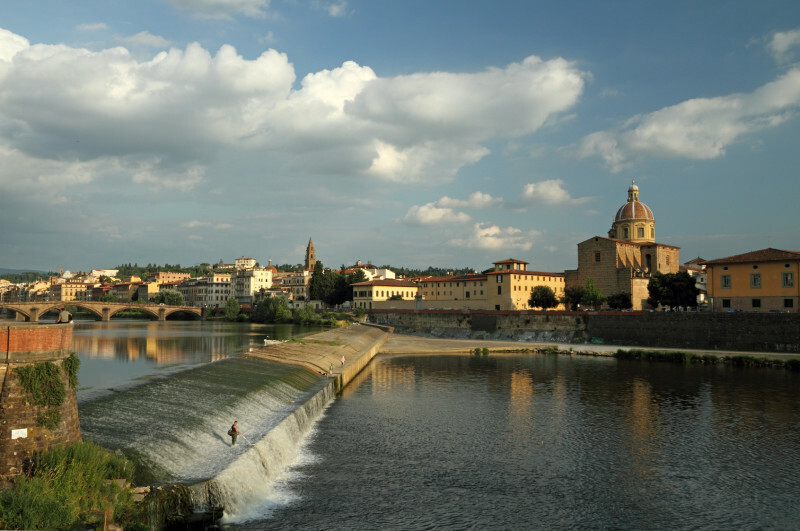 A guided tour to the left bank of the Arno, Oltrarno for the Florentines, allows you to experience everyday life in Florence in a neighborhood long defined by the proximity of noble families and populace. Even now it is a very quick turn from the grandeur of the Pitti Palace to the alleys full of antiquity shops and artisans at work. The heart of the Oltrarno is the Pitti Palace, residence to three dynasties (Medici, Hapsburgs and Savoia). 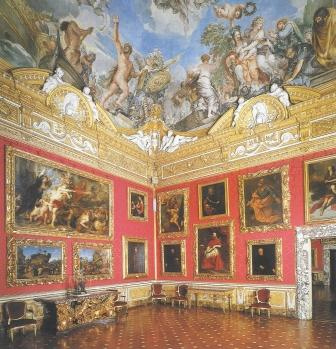 The collection of the Palatine Gallery includes works collected by the Medici and continued by their successors in a lavish setting including frescoes and furniture and highlighting the refined taste of the Medici. The core of the collection is made up of eleven masterpieces by Raphael: from the tiny Ezekiel’s Vision to the beloved Madonna of the Chair, it really is possible to follow the career of the artist through its developments and changes together with masterpieces by Caravaggio, Titian, Andrea del Sarto, Giorgione and Rubens. The Boboli garden surrounding the palace is considered one of the most significant examples of an Italian formal garden and offers breathtaking views and marvelous blooms in the spring. Leaving the Pitti Palace we can stroll towards the lively square of Santo Spirito, dominated by the church designed by Filippo Brunelleschi full of artistic treasures within its thirty seven chapels behind an unadorned facade. Among the many masterpieces adorning the church an early Crucifix by Michelangelo witnesses the bond of the artist with the church and his early interest for anatomy. The market in the mornings and the cafes and restaurants on the square make it one of the most beloved in the city. We end at the Carmine Church, with the mighty frescoes of Masaccio in the Brancacci Chapel, considered the birthplace of Renaissance painting and a powerful example of patronage.